Weather conditions Dry and sunny in the morning, overcast from 2pm. A bit of a headwind. 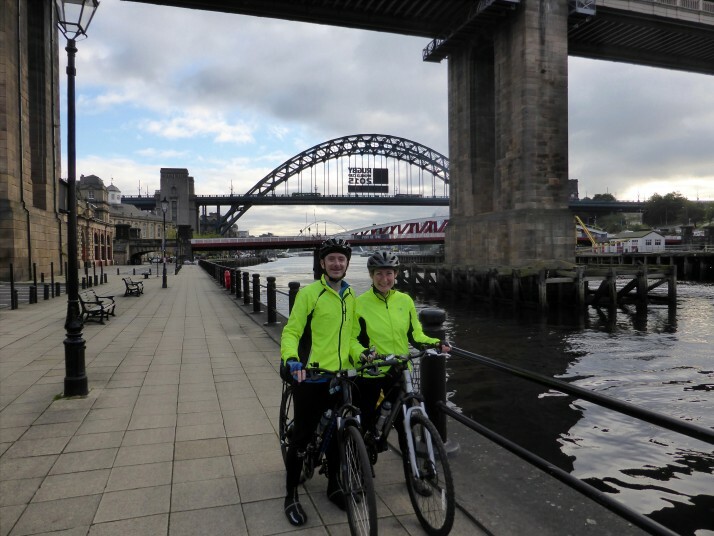 With a light but chilly headwind we set off west on the first day of our 6 day loop from Gateshead-to-Coast-to-Coast (G2C2C). The first 25 or so miles to Hexham are familiar to us as we’ve travelled them several times during training rides, and they’re fairly flat and easy following the River Tyne inland. Knowing the route as we do, we expected to get a fast start but it seemed to take a while for us to get into the cycling groove. Not long after Hexham, the uphill began with a relentless stretch up to the tiny hamlet of Settlingstones, at the top of which we found the headwind again, stronger than before but it wasn’t important as the views across the Northumberland National Park were stunning, the road was smooth and we met more walkers and cyclists than cars and vans. 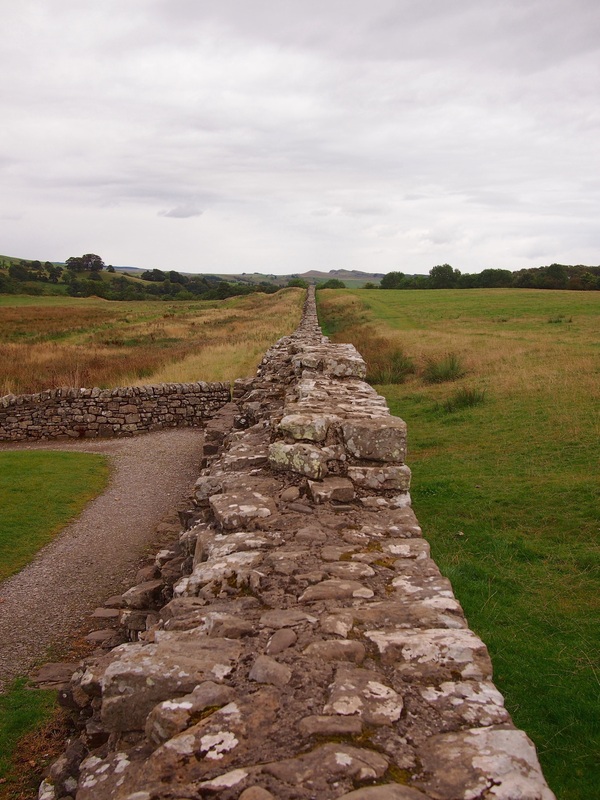 The long, fast descent (the reward for all that climbing) passed the Roman fort of Vindolanda, which we’ve visited previously, before arriving in Haltwhistle, according to its tourist information ‘The Centre of Britain’. 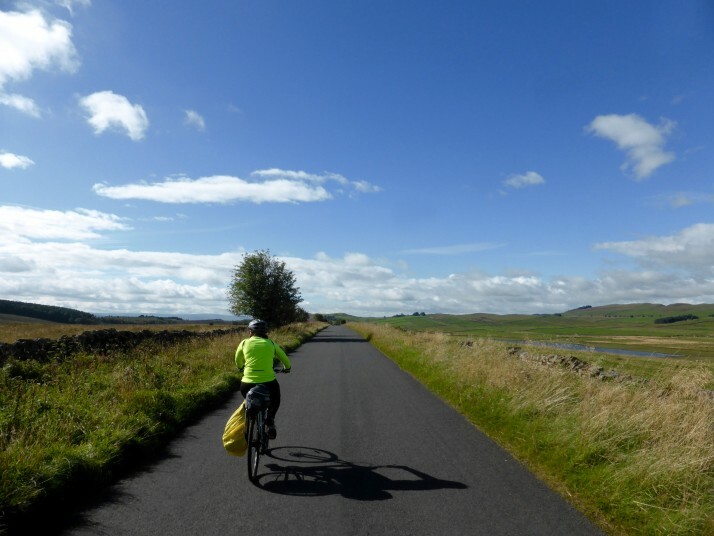 From Haltwhistle, Hadrian’s Cycleway winds into Cumbria through small villages, past more sections of Hadrian’s Wall and finally descends into Brampton where we’ll spend the night at the home of our friends Matt and Emily. The slow start and persistent headwind meant that we had to really put some effort in to get to Cranstons butchers before their 5pm closing time – we made it with 15 minutes to spare and stocked up on slices of Ullswater pie for tomorrow’s packed lunch! Tomorrow’s ride will be about 80 miles to Whitehaven – a record distance for us. 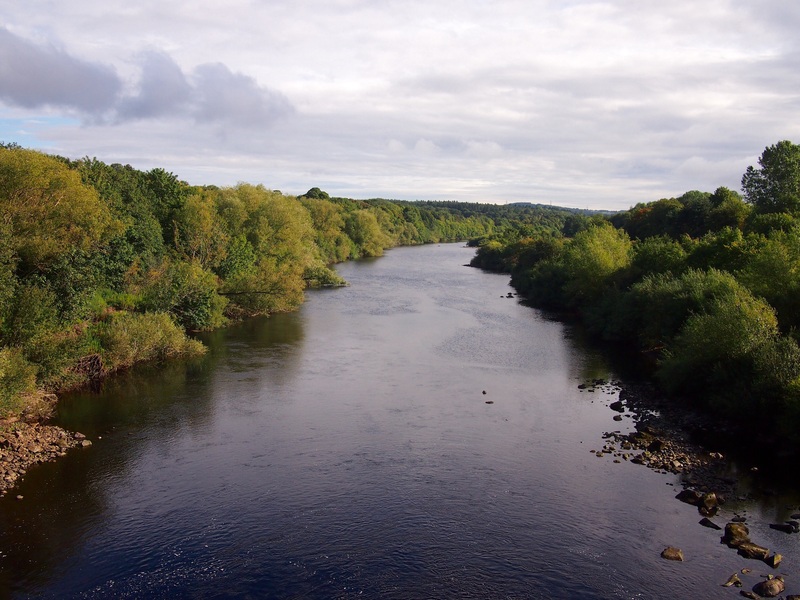 This entry was posted in Experiences and tagged Bicycle, G2C2C, Hadrian's Cycleway, UK on September 22, 2015 by Julie. Yay, you’re off! Have an awesome ride and hope the weather holds. Thanks! The forecast isn’t looking so good today but it’s fine for the moment so we’re keeping our fingers crossed. Great first day and you managed to stay ahead of the rainy spells we had from lunchtime here in the East. Well done both and enjoy your record-breaking day tomorrow (Wednesday 23/9).